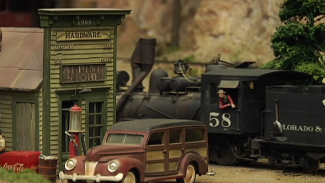 In this final episode of the amazing Stony Creek & Western Rwy, owner Gil Freitag and Model Railroad Academy’s Allen Keller discuss model train maintenance issues on the large 28’ x 45’ HO scale layout. 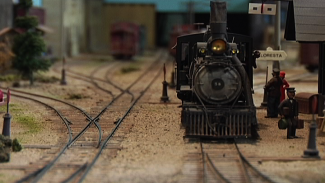 Gil shares some of his model train tips, and his most important one to viewers is simply – run trains! When Gil is asked how to clean model train tracks, he’s found that by holding frequent operating sessions (usually twice a month) keeps his tracks clean and also reveals faulty equipment, track work or turnouts. 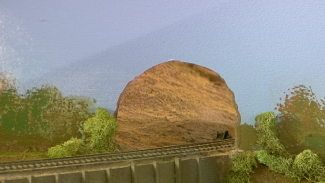 When problems are found, he fixes them right away, as opposed to simply working around them until derailments occur and marr the fun of the ops session. He’s toyed with making his own track cleaning car, but finds that frequent running cleans the tracks, transferring the grime to his wheels, which he then cleans regularly or as needed. Gil used to work in the steel industry, and said that for many years while he was building the SC&W, it provided him countless hours of calming therapy from his day job. 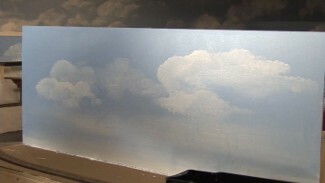 He frequently is mistaken for fellow modeler, steel industry worker and similarly pronounced last name, the late Dean Freytag, who modeled that an entire fictional steel complex on his HO layout. Gil says the friends he’s made through the hobby make being in the hobby all worth it. As for his outstanding structures and the skill and patience it took to scratchbuild them, Gil attributes to stubborn persistence which enabled him to start a project and work tirelessly until completion. Allen Keller salutes the SC&W is one of America’s “great model railroads” because of its flawless operations, gorgeous scenery and award-winning structures of Gil Freitag.